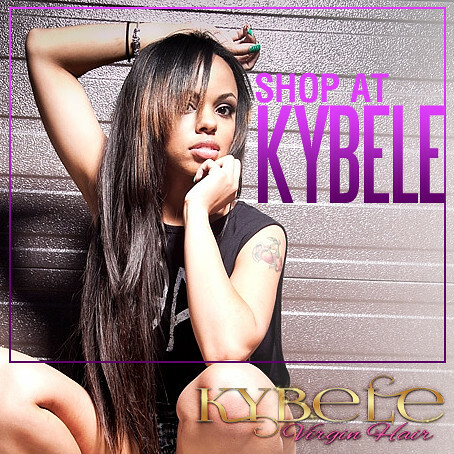 At some point in your hair care journey, you’ve probably heard that weave extensions damage your natural hair. Well, I’m here to debunk that myth and let you know that can avoid going through such a traumatic experience. You have to make sure that everything used to install the extensions meshes well with your hair. Even things that may seem irrelevant, such as the type of thread you use to install the extensions, make a big difference. Threads made out of cotton should not be used to install extensions. Cotton itself is super-absorbent. Therefore, cotton threads can absorb up to 20 times their weight. What does this mean? At any point where the thread comes into direct contact with your hair, the thread will absorb all the hair’s natural moisture. This makes that particular area extremely dry, which may lead to weave extensions damage and breakage. You have to make sure that when the extension is installed, it feels comfortable and isn’t too tight. If there’s too much tension, you can cause weave extensions damage known as Traction Alopecia. And, what is Traction Alopecia? It’s a condition where hair loss occurs due to hair follicle and dermal papilla damage. This weave extensions damage is caused by constantly putting tension on or pulling the hair for long periods of time. Basically, over time, if your extensions are too tight it will cause your hair to break causing pain and bruising on your scalp. So it’s very necessary to let your stylist know when they put an extension in too tight. It will save you a lot of pain and hair loss. Many women think that if you wear hair extensions, you don’t have to think about your natural hair until it’s time for the weave to come off. This is wrong. You have to take care of your natural hair when you have extensions just as you would if your hair was without them. So, to debunk the myth even further, the fact is that when you wear hair extensions that are properly maintained, your hair tends to grow faster. This is because you’re not constantly disturbing your hair with too much combing and heat from things like flat irons and blow dryers during styling. So, take care of your natural hair AND your weave using proper hair care practices. Knowledge is power. And, in this case, these tips may even save you from a painful experience, such as suffering from Traction Alopecia, or some other hair loss tragedy. In short, weave extensions do not make your natural hair fall out. It’s human error, such as installing the weave incorrectly or not caring for your hair properly while wearing extensions that causes such tragedies as weave extensions damage.